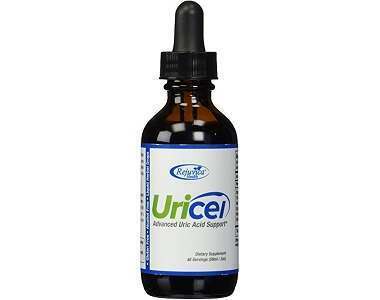 The following review is for a product called Uricel which purports to treat gout symptoms. This is a product that is used to lower the levels of uric acid in the blood. It claims to contain high potency key ingredients designed to lower uric acid, prevent gout attacks, reduce gout pain and reduce swelling. The manufacturer’s website states that the product is an all-natural uric acid cleanse promoted to help soothe inflamed joints and support mobility. Below is more information about the product. These ingredients have been found to reduce high levels of uric acid in the body, as well as providing anti-inflammation and soothing properties. However, the manufacturer does not go into detail as to why exactly these specific ingredients were chosen. How Do You Use Uricel? Uricel comes in liquid form. You are directed to take a ¼ teaspoon (1.23 ml) 1-3 times a day or as prescribed by your doctor. You are required to mix with water or you can take straight with a spoon. The manufacturer advises that you should do not mix this product with soda and that you should also drink a lot of water throughout the day. A package recommended for mild pain is $44.99, marked down from $54.99. This will last you two weeks. A package for moderate pain will cost you $87.90, marked down from $117.85. This will last you 28 days. A package for severe pain will cost you $124.90, marked down from $154.85. This will last you 42 days. In addition, the moderate pain and severe pain packages come with a free joint pain cream that relieves pain and minimizes inflammation deep into the afflicted joint. 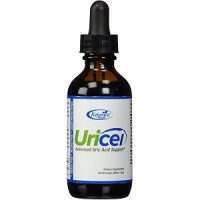 Uricel comes with a 60-day money back guarantee to any customer who is not satisfied with the product. This money back guarantee is not inclusive of shipping costs. You have to return your bottles whether they are used or unused. The refund is made after 60 days of purchase. We also noted mixed customer reviews on Amazon. Some users claim it works while others complain it was not helpful. All the active ingredients appear to be naturally sourced and the manufacturer claims the product is manufactured under GMP guidelines. It comes with a 60-day money back guarantee for customers who are not satisfied with the results. Its dosage instructions look complicated. In other words, it can be tricky to measure ¼ teaspoon with your eyes. If you compare it to other gout treatments currently on the market, this product is reasonably expensive. 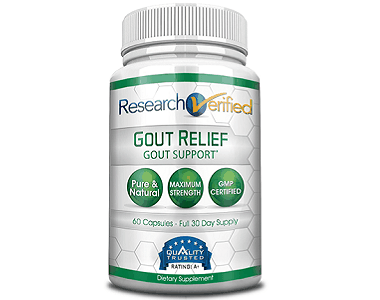 We found negative user reviews on Amazon which is an indication that this product may not be effective for all patients with gout.